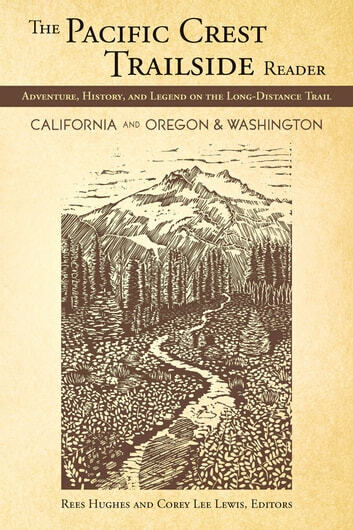 * Unique woodcut illustrations decorate both volumes * Trail map to follow story locations in each volume * For both hikers and armchair adventurers of the PCT Exploring the people, places, and history of the Pacific Crest Trail as it ranges 2,600 miles from Mexico to Canada, THE PACIFIC CREST TRAILSIDE READER EBOOK brings together short excerpts from classic works of regional writing with boot-tested stories from the trail. The heart of this anthology is these real trail tales, stories taken from PCT hikers: trailside humor and traditions, "trail angels" and "trail magic," encounters with wildlife and wild weather, stories of being lost and found, rescues, and unusual incidents. Revealing a larger context are historical accounts of events such as Moses Schallenberger's winter on Donner Pass and pioneer efforts like the old Naches Road that ended up creating access to today's trails; Native American myths and legends such as that of Lost Lake near Mount Hood; and selections from highly-regarded environmental writers who have captured the region in print, including Mary Austin in The Land of Little Rain ; John Muir in The Mountains of California; and Barry Lopez in Crossing Open Ground. Readers will also enjoy a few more surprising contributions from the likes of Mark Twain and Ursula Le Guin. 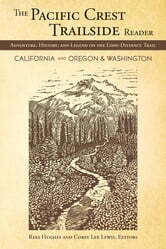 For this digital edition of the PCT READER, we combined our two print volumes into a single, robust ebook that features stories from both the CALIFORNIA and OREGON & WASHINGTON volumes. Because the two-volume set is a compilation of old and new essays, however, the editors were not able to obtain digital publication rights for some of the previously published material. So while this combination ebook includes all the newly commissioned stories, as well as many other pieces for which the editors did have digital access, there are approximately four contributions from each of the printed books that do not appear here.